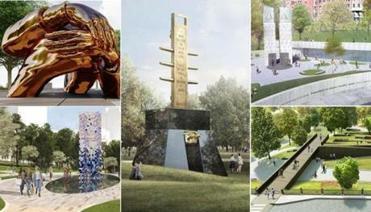 Which design for the Boston Common MLK memorial rises to the (mountain)top? What do people want in a public memorial? A number of things, actually — perhaps too many. No matter what the size or configuration, a piece of civic statuary is also a cultural statement, a call to history, and a living space within the public sphere. It needs to fit into the physical surroundings just as it needs to stand out in the minds of those who encounter it. We should get used to it — but only a little. 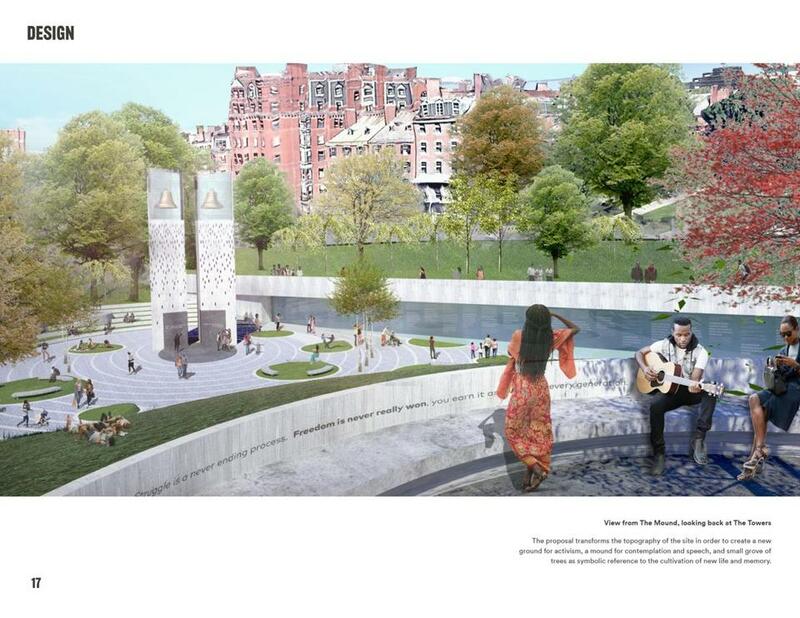 So which of the five design finalists for the Boston Common memorial to Martin Luther King Jr. and Coretta Scott King that became public this week fits that bill? Do any of them? No matter which gets chosen and built, it will not only reshape how we think and talk about the Kings’ legacy but also recalibrate our relationship with this cherished 50 acres, a democratic shared space almost four centuries old. The Common was the site of 19th-century abolitionist activism and 20th-century civil rights protests. It was also a site where white Bostonians paraded with their human chattel in the years before slavery died out in the colony during the 18th century. The Shaw Monument to the black Civil War regiment is on one side of the Common, and a few blocks away is the site where African-Native American Crispus Attucks was killed in the Boston Massacre in 1770. A few blocks farther still are the docks where the horrors of the Middle Passage came to anchor. The Common, as its name implies, is for all Boston’s people, but its history is as tangled as any place in a country that was founded on the idea of freedom while enslaving a sizable portion of its inhabitants. The finalists for the memorial project, which is being spearheaded by the nonprofit group Martin Luther King Boston, can be viewed online by clicking here, and they vary in their approach and scale. 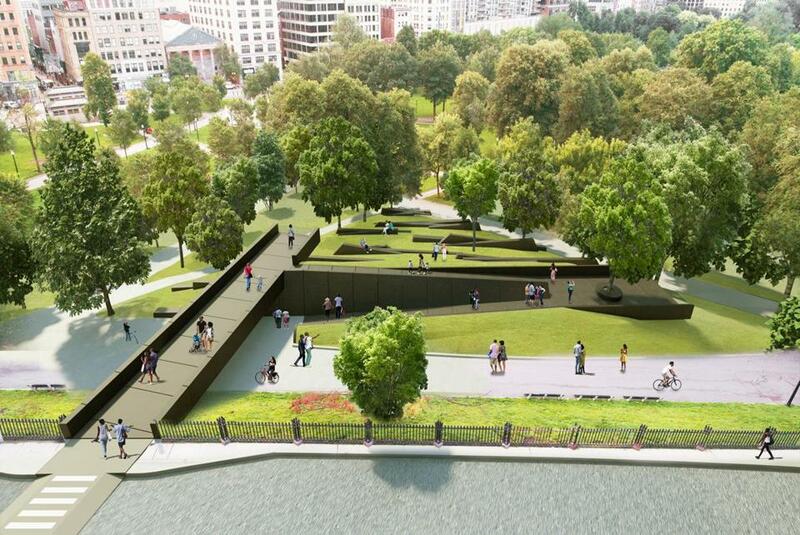 They force us to ask questions of ourselves: How much should a memorial remake a space before it comes to dominate it? Is dominating a corner of this psychic civic arena exactly what a memorial to social activism should do, especially in a city with its own ongoing racial fissures, subterranean and otherwise? I’m a critic by profession, but my training is in film, not art or architecture. The judgments reflected in this column are those not of an expert, but of your average philistine. Like the majority of people, I know nothing about the architects who submitted the proposals. Like the majority of people, I know what pleases my eye; I know what I think “works.” And like the majority of people, hopefully, I want the King memorial to challenge us to be our better selves while somehow also becoming a seamless part of Boston’s public landscape. Some of the proposals lean too far, in my opinion, in one direction or the other. “Empty Pulpit Monument” by Barbara Chase-Riboud has graceful landscaping and a beautifully articulated concept, but the six-limbed totem-pole tower, complete with searchlights emanating from the top, strikes me as overwhelming for the space and, frankly, ugly. A King memorial shouldn’t be too comfortable, but parts of this feel like a hair shirt. A rendering of the design for “The Ripple Efects,” from Wodiczko + Bonder/Maryann Thompson Architects, with Walter Hood. “The Ripple Effects,” from Wodiczko + Bonder/Maryann Thompson Architects, with Walter Hood, takes a somewhat similar approach with greater success. The undulating landscaping that leads to a “mountaintop”-like mound is both inspired and visually pleasing, although I’m less thrilled with the size of the twin towers that emit light pulses, bells, and digital updates on emancipation efforts worldwide and local. This appears to have been designed as a genuine gathering place, but it splits the difference between contemplation, social interaction, and pointed, perhaps obtrusive, engagement. Yinka Shonibare’s “Avenue of Peace” also incorporates a tower into its design but uses it as the centerpiece of a clever public space involving water, sitting areas, and a twinned biographical “narrative” that tells Coretta Scott King’s life story if you’re walking from the east and her husband’s if you’re coming from the west. It’s nice, but the central fountain, a tall obelisk with mosaics, sticks in my eye. As perhaps it should. Why am I resisting the idea of towers on the Common, anyway? Is it my personal preference for a horizontal Boston that is getting swept away in tides of development? Or is it just a hidebound (and white) local’s resistance to change? The Common is “our” Common, of course, but if you grew up in or near Boston, you have “your” Common with all its own memories. It can be tough to see it tampered with. But people and cities should be challenged to change; certainly Boston should. Art historian Barbara Rose once described the sculptor Claes Oldenburg’s approach to monuments as “being symbolic and for the people, and therefore rhetorical, not honest, not personal.” By which she meant, I think, that a memorial is meant to present a case, and that we should be having a spirited conversation in its presence, with ourselves and with each other. Which is why “The Embrace” by Hank Willis Thomas with MASS Design Group doesn’t quite do it for me, either. Made up of large, mirrored, clasped hands, it’s soothing and aesthetically pleasing, and I can imagine it becoming a meeting place and selfie site similar to Anish Kapoor’s “Cloud Gate” in Chicago’s Millennium Park. The problem is that “The Embrace” may be too soothing — too easy to divorce from the blood and struggle of the people and events it’s ostensibly about. A King memorial should implicate us as part of its brief. It should ask us what we’re doing to push back against the world’s and this country’s injustices, right now, today. At the same time, it should welcome dedicated visitors and casual strollers alike without lecturing them away. You should want to be there, want to contemplate what it’s offering. A rendering of the design for “Boston’s King Memorial,” from Adam Pendleton and Adjaye Associates with Future/Pace and David Reinfurt. While it’s not perfect, the “Boston’s King Memorial” design by Adam Pendleton and Adjaye Associates with Future/Pace and David Reinfurt ticks off most of those boxes for me. In ways, it’s the most radical proposal, with a bridge that leads to Beacon Street and the State House grounds. The dark colors and sloping lines are also a little too visually reminiscent of Maya Lin’s Vietnam Veterans Memorial in Washington, D.C. But I like the way the design uses the existing slope as the basis for its own “mountaintop” metaphor, and there’s a real sense of spatial movement — of purposeful journeying — in the way the landscaping sweeps a visitor upward. This touches on histories both noble and shameful while simultaneously inviting you to sit for a while. You can have lunch there — and you can ponder where we’ve been, who fought the necessary fights, what prices they paid, and where you and I go from here. In any event, and whichever designs ultimately wins, it will hopefully take the memory that’s at the root of the word memorial and activate it, bringing new life to the Kings’ lives and meanings for years to come.